I’m a big fan of bed decorating. The classic motif is the arrange flower petals. Some resort incorporate palm fronds. And Club Med Kani even has towel folding. 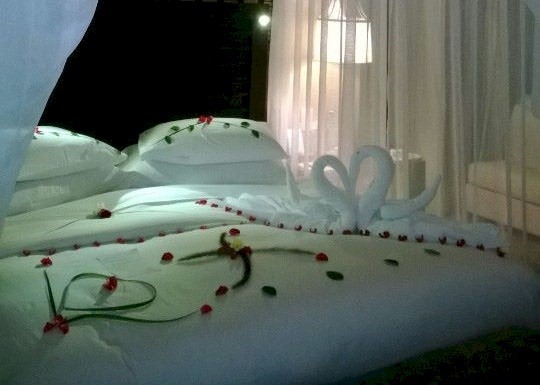 But Jumeirah Dhevanahfushi blends all three into a stunning bed collage. Compliments of Andy and Linnet who actually were the couple that introduced Lori and I to the Maldives years ago making their first return to the Maldives in over a decade.